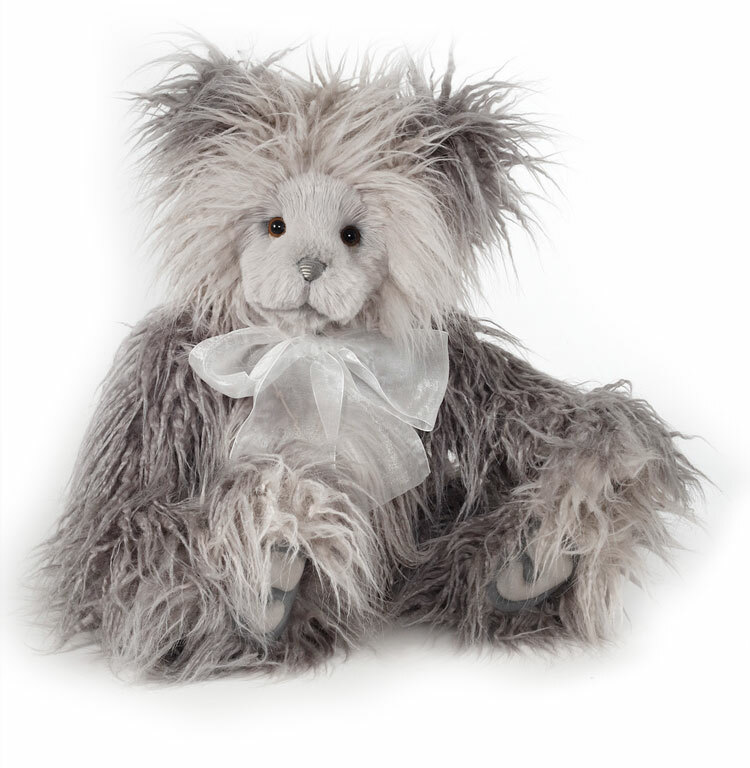 Joanne is 21 inches, five-way jointed and handmade from the softest long-pile plush in gray tones. Her face is unforgettable! 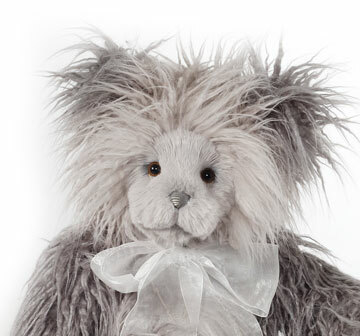 She has a hand-stitched nose with accent stitches, subtle airbrushing and the most friendly glass eyes backed with felt disks for an adorable 'who me' look. Joanne has ultrasuede 'tickly toe' paw pads with embroidery, sculpting and airbrushed details. 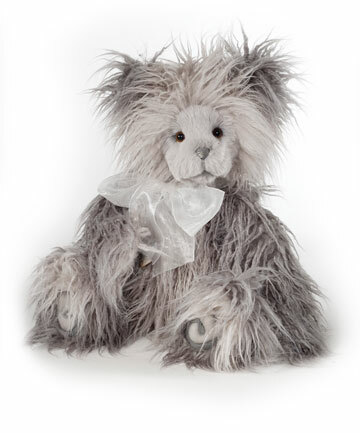 For a classic Charlie Bear touch, she wears a beautiful organza bow and a heart necklace. A very lovely bear to add to your collection. Joanne Bear is part of the 2019 FOLKLORES & FABLES: Charlie Bears Collection. Suitable for ages 3 years and up.